chefs and cooks in Italy won’t make what they don’t know. With that being said, whether you’re in doubt of what to order or not, always go with the region’s specialty. 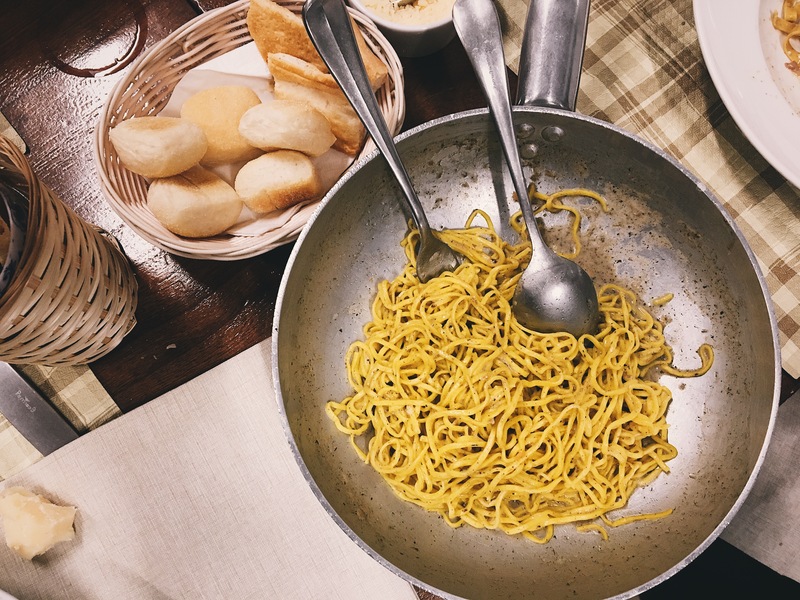 (Follow this rule, and you will have very few regrets in your life…at least when it comes to eating in Italy.) 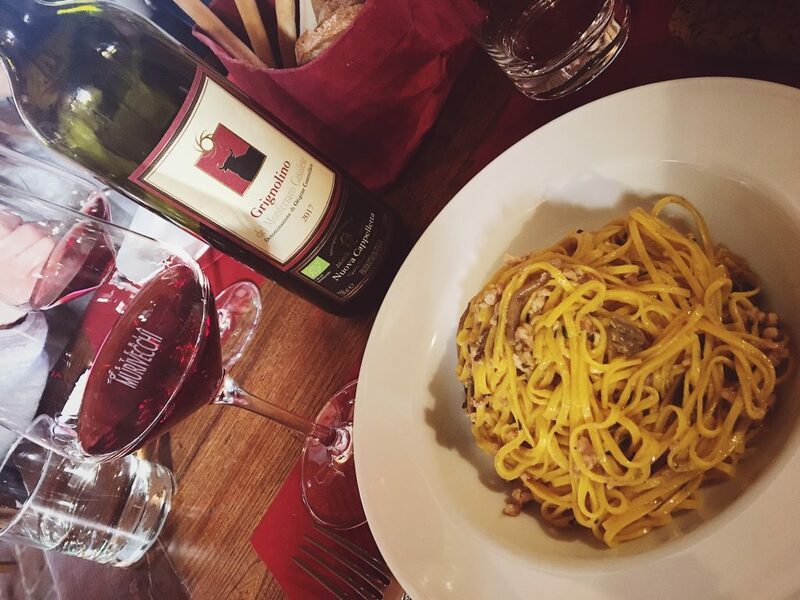 Luckily here in Piemonte region of Italy, that means laying eyes and tongue on as much tajarin as you can. 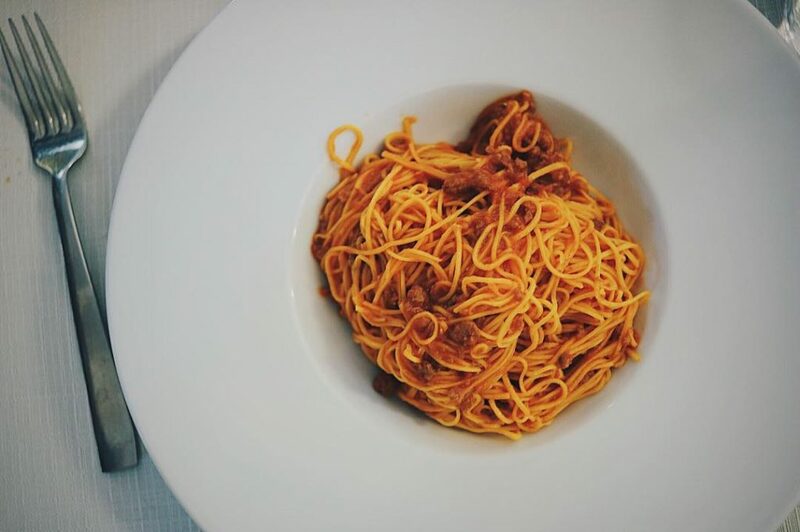 Tajarin is the Piemontese version of tagliolini – long like spaghetti, but thin like capellini. Silky smooth, creamy rich, thin ribbons of pasta exuding a golden hue of farm fresh egg yolks (40 yolks per kilogram of pasta dough to be exact). It was my first dish in Bra. 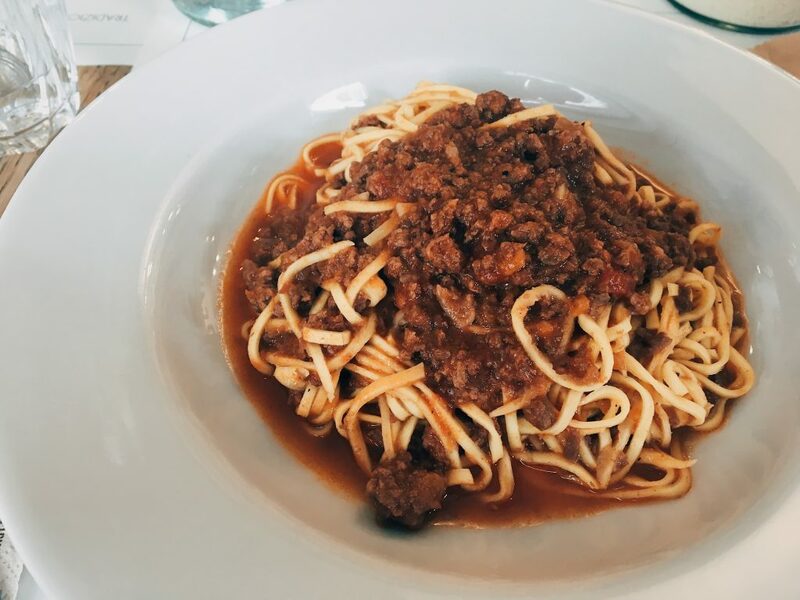 After traveling for nearly 48 hours from Seattle, I couldn’t have asked for a better first bite than Tajarin Al Ragu. A familiar flavor, with new sensations. It felt like home, but I knew I never had it before. An array of paradoxical emotions of the familiar and foreign swept over me. Next thing I know, I’m mopping the bottom of my dish with a piece of olive oily focaccia. Since that day, I’ve had tajarin many ways, but I’ve yet to try them all. Here’s a few for your drooling pleasure.